I love to match your party favors and party decor to your invitations! Love this little slumber party set! 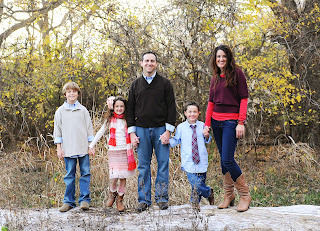 I'm adding pictures to the website today and then deleting them from my overflowing picture file. I think I take too many product pics!! 1. Your order goes directly to my order file and looks distinctly different from all my other emails. I get 100s of emails a day so this is a lifesaver! 2. I instantly have all the info I need. I don't have to email back and forth looking for fonts, colors, sizes, etc. When I go to process your order I don't have to sort through all those emails looking for the right info. 3. At the end of the night, I print all of my orders for the day. If your order came in the form of 14 emails it doesn't get printed and I hate it when things aren't neatly tucked away in my order binder at the end of the day. 4. It's much easier to keep track of inventory when orders are placed via the website. I have to go in and manually adjust inventory when orders are emailed and I always forget...and then I run out of stuff. SO...Please use the Pick a PaperDoll Design button if you want to order an item but don't see the particular design you want listed in that item's section. 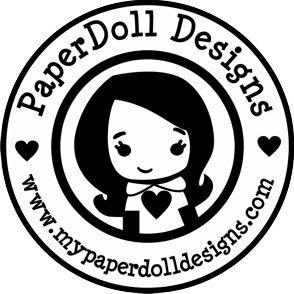 For example, if you want a binder but you want it in a design you see listed in the bag tag section, please use the Pick a PaperDoll Design Binder button to order. All you have to do is fill in the design name and all your info. EASY PEASEY!! If you want to order a custom design you can also use this button. At the end of the order you will be asked if this is an existing design and you will choose "no." It will charge you the appropriate "Custom Design Fee" based on the price of the item. PLEASE NOTE...I would prefer that you email me before making a custom order to make sure it's something I can do. ALSO, if you want me to take parts of one design and combine it with parts of another design it DOES count as custom because I have to set up a whole new file. Color changes do NOT count as custom orders. how in the world this beautiful little man is old enough to go off to middle school??? How can it be that my baby Graham is this big?? I'm so proud of this kid I can't stand it. My Mr. Responsible is so excited about starting 6th grade. I think he's going to love middle school. LOVE him! I'm also wondering how we lucked out and got the cutest kindergarten teacher ever for Charlie?? We "met the teacher" today and it's going to be an awesome year for Charlie!! He's the sweetest, cutest, funniest, orneriest little man ever and I can't believe he's headed off to REAL BIG KID school!!! 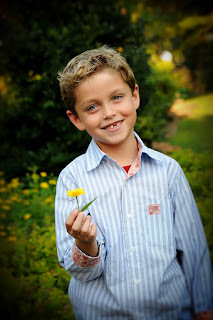 I hope kindergarten can handle Charlie! I've had so much fun making all these binders!! I've got binders all over my office, in my living room, in the hallway...everywhere!! I love it when customers tell me how they are going to use them...you guys are so ORGANIZED!! I use mine for recipes, school stuff and coupons. What do you use yours for?? When I am feeling stressed about the number of orders I have I always feel the need to ORGANIZE. This morning I took one look at my order page and immediately started straightening up the PaperDoll Studio (which is what I like to call my office when I'm feeling fancy.) Once I got it looking all pretty again I decided I should document this fabulously clean occasion and take a few pics. At the begining of the year I had a work table built in. It stretches all the way from one wall to the other and I have a little assembly line thing going on. I LOVE IT! I used to work on the floor because my work space was too small and this is WAY better. The pink curtain hides tons and tons of supplies and ugly stuff that would ruin the cute factor of my space. Are those two black lines on the edge of the table driving you crazy? They are a guide for cutting ribbon...that way I don't have to think and I can focus on my late night Bravo tv that is playing on the opposite end of this table. My Nora's Lalaloopsy doll and some of the the books she claims she has outgrown. I couldn't bear to part with Pinkalicious and Fancy Nancy so I put them on this shelf of honor with my copy of Princess and the Pea. It was my favorite book growing up and my dad gave me this copy at our rehearsal dinner. It has a handwritten note inside that still makes me cry. My pencil collection...I can't hep myself. This is the tray where all your items go when they are ready to be packaged up pretty. It was overflowing but I emptied it for the pic. The man of house is constantly saying "just stick it in a bag and be done with it!" He just doesn't get it. Am I right? Candy Bars to drop in customer's bags...if only it weren't 113 degrees here. I just started collecting vintage china. I have a rule...they have to cost less than $5 and I have to really love the pattern. Therefore, I don't have a lot. I love the ones I have though. For some reason they are living in my office. Here's my desk. That is THE BINDER. It keeps me organized. I couldn't live without it. That picture in the background is me and my grandpa when I was about 2 or 3. Nora asks me all the time if it's really her. We look that much alike. It's crazy. She is SO my mini me. Here's where I sit in my pink Ikea chair with the pillows that were in Nora's nursery. I love those pillows. Here's where Pippa sits. At my feet. That's it. Time to get to work.